I especially want to thank the staff for the wonderful time we had at Rapid Lake. The fishing was everything we hoped it would be and the opportunity to fly over and see all the lakes, rivers and mountains of the great northern Canadian Shield was fascinating. The lodge itself was comfortable and the food and service, as well as your fishing guidance, was excellent. 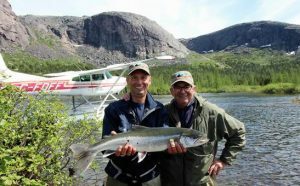 « Rapid Lake Lodge offers a perfect trip for fly fishers expanding their experience into the far north: their fly fishing combo. 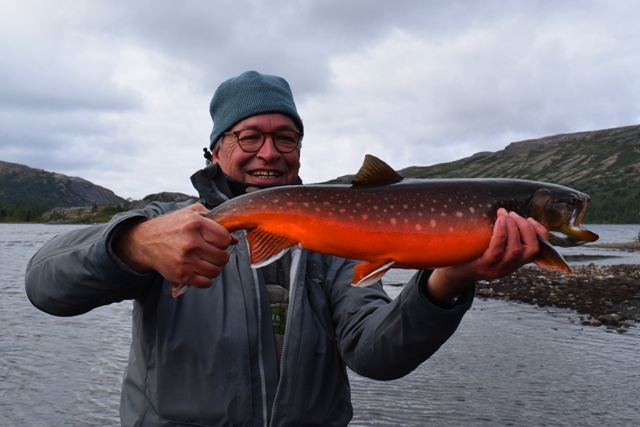 Lots of brook trout like you’ve never caught before, shore casting for lake trout on the fly, and then flights even further north for arctic char. Our whole group got everything we hoped for – especially the deep wilderness experience. A great trip. Thank you for such hard work and considerate guiding. “Every serious fisherman has had days that he will remember forever. I had one of those days at Rapid Lake Lodge. The Lake Trout were strong, hungry and aggressive the whole day. I caught 40 that day, including a 39 inch 25 pounder that took me half way through my backing. 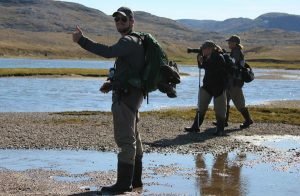 Although the water was high and fast, our guide worked tirelessly to find the fish and help me get to the best spot. The Brook Trout were aggressive and loved my mouse. The pilot flew us cautiously and smoothly day after day. Thanks Julien for your concern for my safety. A big thank you to Alain, Antoine, Julien, Francois and Jeanot who we regale each day in the middle of nowhere. It was an excellent week and the weather co-operated. 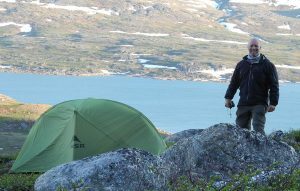 Killiniq Island in particular was spectacular and remote. Mount Nuvutialuk definitely warrants more exploring. It was only really when we got back we realised what a spectacular place this was. There is so much pristine land to explore. If the summer there was longer we would want to come back for another week at the end of August (but some of the hikes would not be too much fun in the rain)! “This is one of our best lifetime trips ever…! 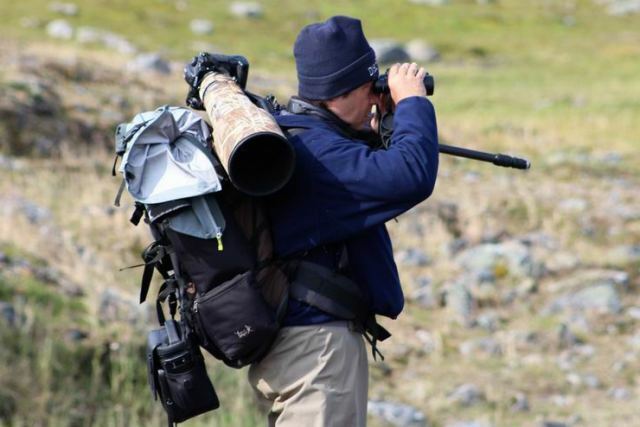 Where should we head now to beat this incredible experience?…in Patagonia perhaps! Awesome, we’ll be back! 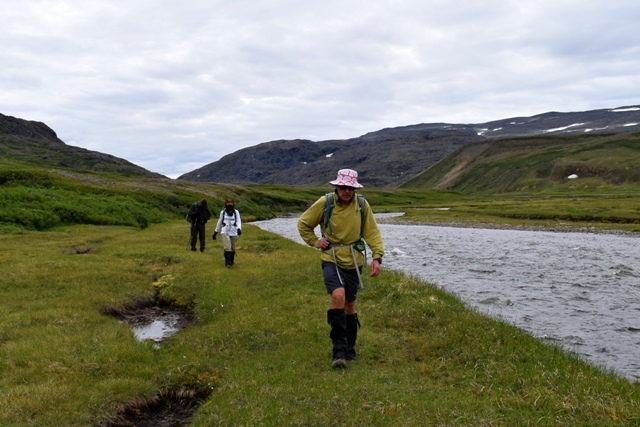 ” It is after twenty days of our trip departure by canoe from Schefferville that my friends and me have reached the foothills of the Pyramids Mountains along the George River. A few hours after the precarious hike through spruces and alders we finally reached the bare summit. From this mountain top we had a fantastic view over the tundra landscape. It took us ten more days to reach our final goal in Kangiqsualujjuaq (George River). “(…) We caught some big arctic char and lost several huge ones. ” A fishing trip of exception by floatplane. Having lived two years in British Columbia and having fished for salmon, I now discover Quebec and Labrador’s far-north. Since the last few days I have been impressed by the extraordinary landscapes which offer the Arctic Cordillera in remote Northern Quebec and Labrador. These last two days we went fishing on Qijujjuujaq and on Tunulic River where we fished some Lakers and brookies and did some catch and release.